What is a herbal tincture? Do you know? Despite learning about herbs and using them for 9 years I hadn’t used a tincture before. This all changed when I studied Herbal Medicine at the University of Lincoln for three years. Tinctures are very widely used by herbalists today. Thanks to my training I too use tinctures, they are my main form of prescribing herbs to people who come to me for support. A selection of Herbal Tinctures in one of my cupboards at home. A tincture is an alcohol based preparation which is intended for internal use but can also be used externally (I currently have a poultice of nettle tincture on my leg to reduce the inflammation of a gnat bite). Herbs can be made into tinctures either dried or fresh. Fresh is preferred but dried is the easiest to make especially if you cannot access ethanol or ever clear. This is because water is also added to a tincture – the proportions of alcohol and water vary depending on the active constituents that you want to extract into the tincture. 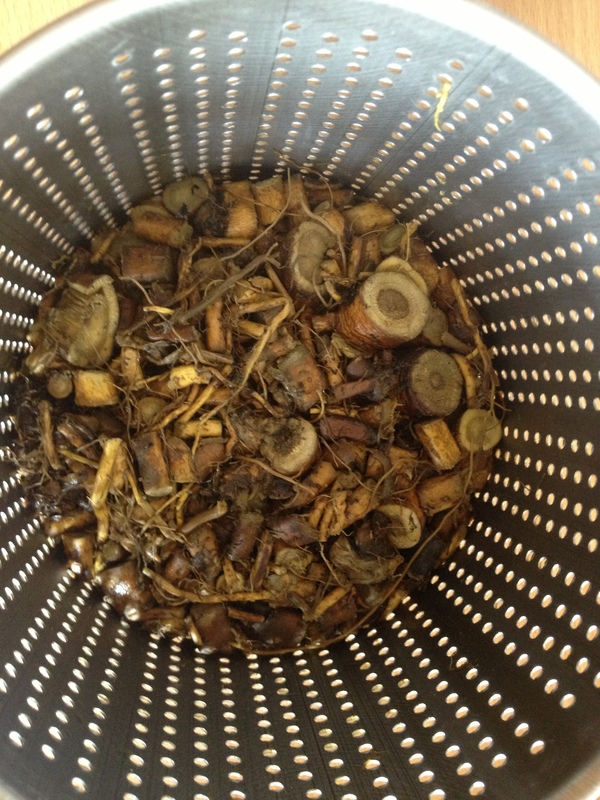 The herbs are allowed to macerate in the liquid for several weeks and then strained. Several active constituents are readily extracted in different mediums – therefore a mix of alcohol and water can ensure that the alcohol and water soluble constituents of the plant are extracted into the tincture. Alcohol is also a natural preservative and therefore they last for many years. This is in comparison to teas which have to be used within 24 hours. Also dried herbs should be used within a year of being picked, powdered herbs within 6 months and creams usually lasting 3-12 months. If you only have access to the alcohol which is sold in the shops then I would recommend that you always dry the herb that you want to make into a tincture. 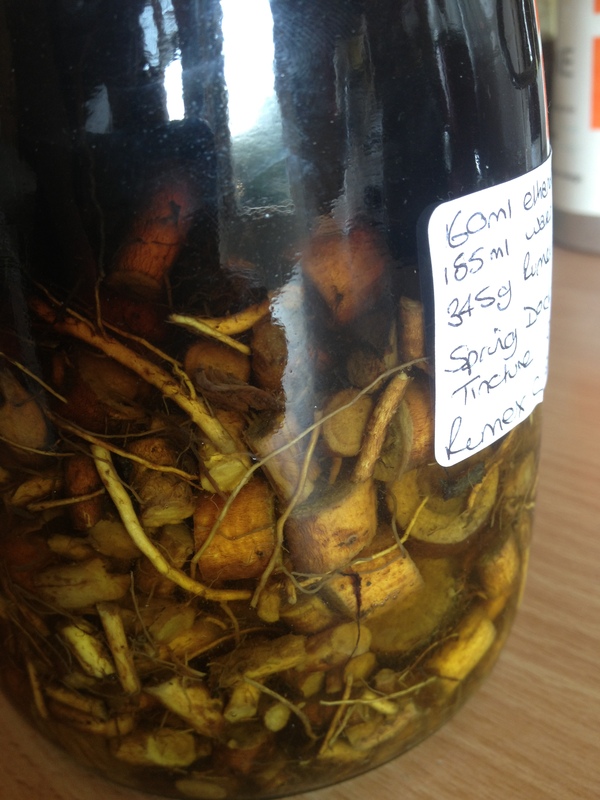 This is because there are three things which need to be assessed in order to make tinctures. 1. Are you using fresh or dried herbs? If you are using fresh herbs then the water content of the plant needs to be calculated and taken into account when it comes to figuring out how much alcohol (ethanol or ever clear) you need to use. 2. How much alcohol and water you have to add to the herb. If you have dried your herbs, weigh them and see how much you have. If you have 500g and you added 500ml of liquid it will be a 1:1 ratio of herb to liquid. You can add 1 litre to get a 1:2 or 1.5 litres to get a 1:3 tincture. When using dried herbs then it is fine to either add the same amount of liquid, double or triple it. Please be aware of the concentration that you are going for. I like to make a lot of 1:1’s . These are called fluid extracts. Here I have made a 1:3. For every three ml of tincture you are receiving 1g of herb. 3. How strong is the alcohol that you are using? Alcohol in the shops can be bought which is 40% alcohol. 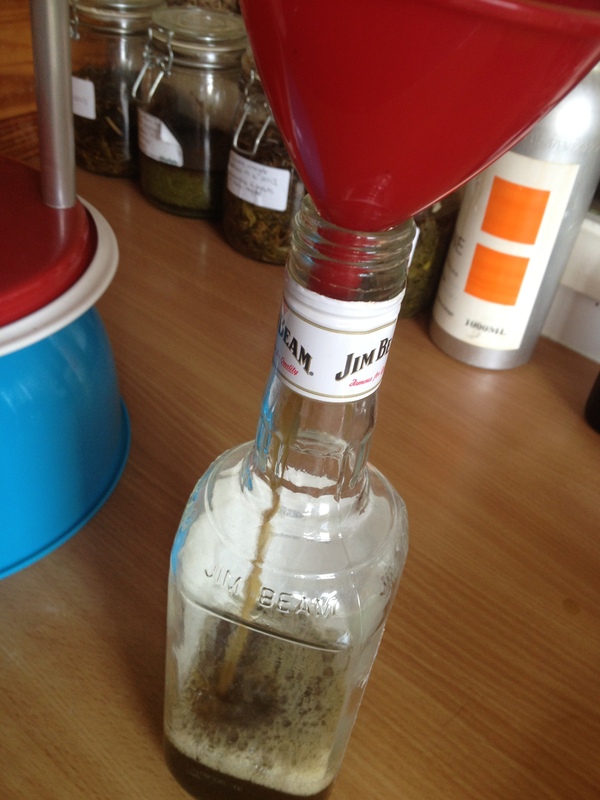 This is idea of making tinctures. Most people recommend that you use vodka. This goes down to taste and will differ as well depending on the herbs that you are making into a tincture. Vodka has a bland taste which doesn’t impart onto the herb. You can experiment and try with other spirits. Try to have a minimum of 40% alcohol though. Saying that – when you look at different herbals (books containing herbal knowledge and wisdom) such as Culpepper’s it crops up that different types of alcohol are used which aren’t classed as spirits. In Traditional Chinese Medicine (TCM) medicinal wines are made to support health and wellbeing too. Therefore I will recommend that you experiment, trying different herbs with different forms of alcohol. Consider taste prior to making the tinctures, will the herb compliment the alcohol? Will the alcohol detract from the taste and quality of the herb? 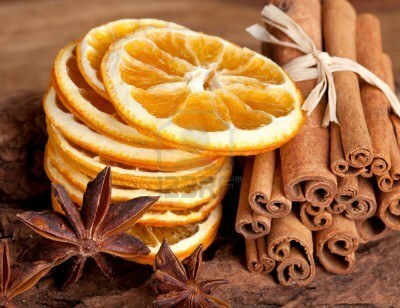 Theoretically mulled wine is a form of medicinal wine as it is simmered with cinnamon, ginger, cloves and other spices. These have a pungent, stimulating and warming effect. Supporting and boosting our circulation. This is beneficial in the winter months when everything is cold and dark. The European Union Traditional Herbal Medicine Directive has stopped the retail sale of herbal tinctures. These forms of medicine were available to the public up until recently. 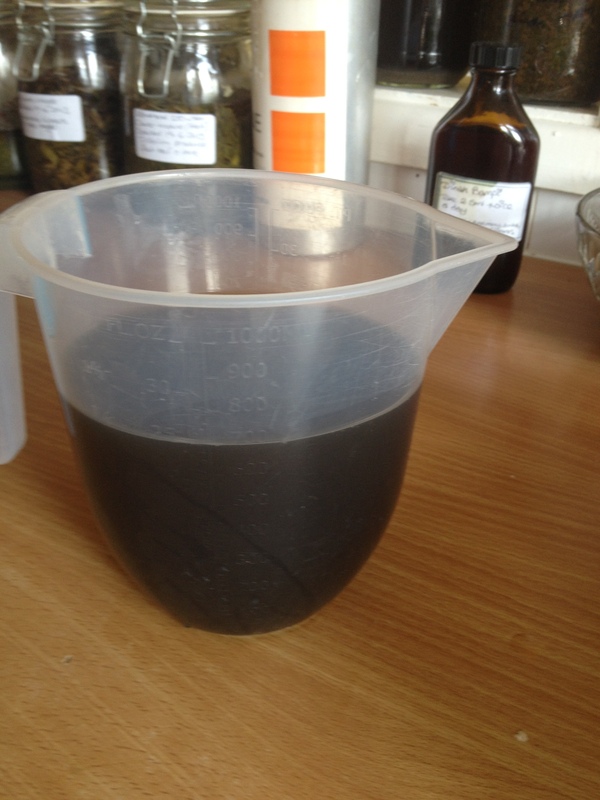 Now if you would like to use a tincture then you need to contact a qualified herbalist such as myself or make your own. As a herbalist I am legally permitted to prescribe herbal medicine including herbal tinctures under The Medicines Act. I am also permitted to make herbal tinctures using ethanol for medicinal use. 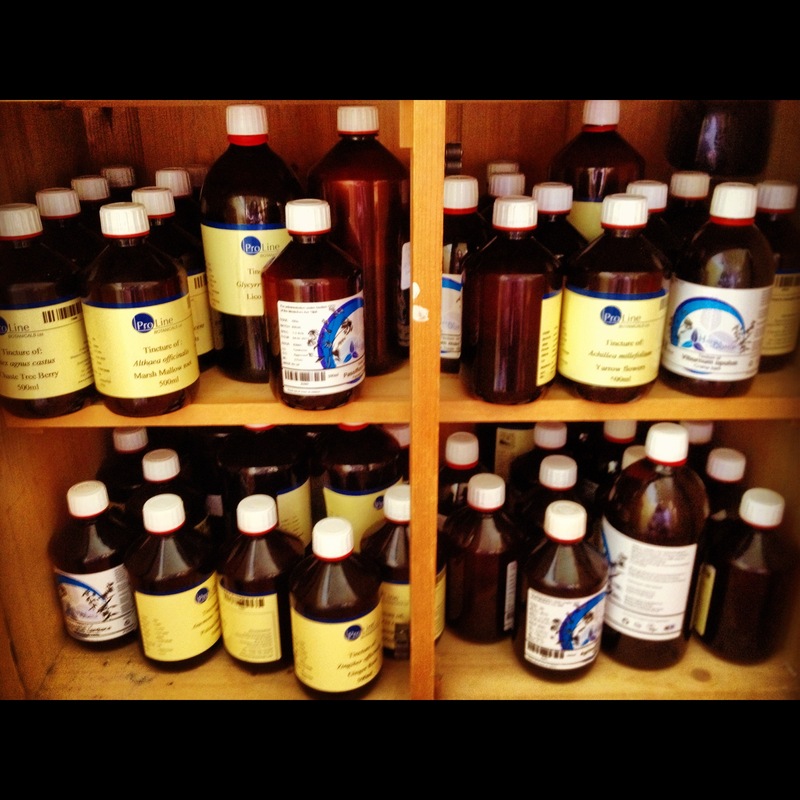 All tinctures should be given between 2 and 4 weeks to macerate. This enables the liquid (which is called the Marc) to extract as many active plant constituents as possible from the herb (which is called the Menstrum). It is best to keep them out of direct sunlight – preferably in a dark cupboard. It is also recommended that you shake it daily to agitate it and ensure maximum extraction during the maceration process. 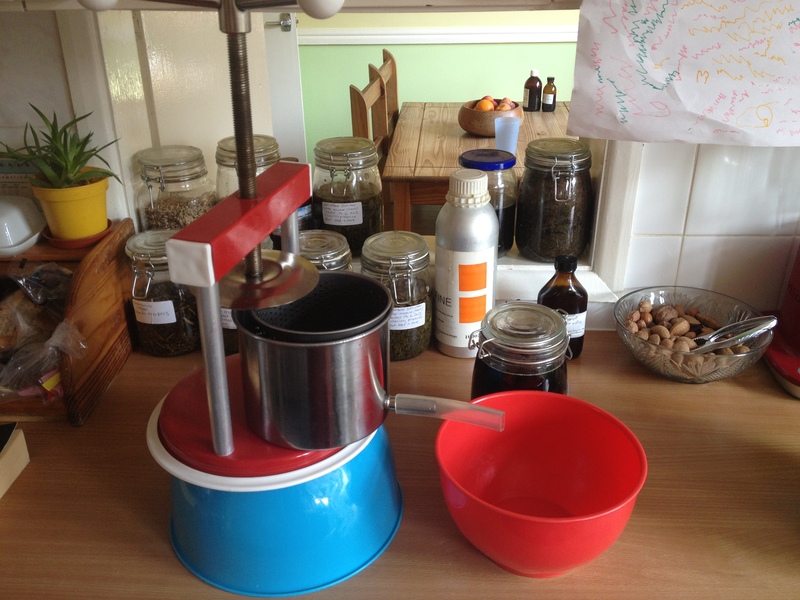 My Herb Press – It is made out of metal which is easy to clean although I like to lubricate the screw bit each time I have finished using it. If you do not have a press this isn’t an issue – you may not get all of the tincture out but there are other ways round it and other benefits. You can purchase muslin cloth – BOYES sell this and you can purchase it by the metre. 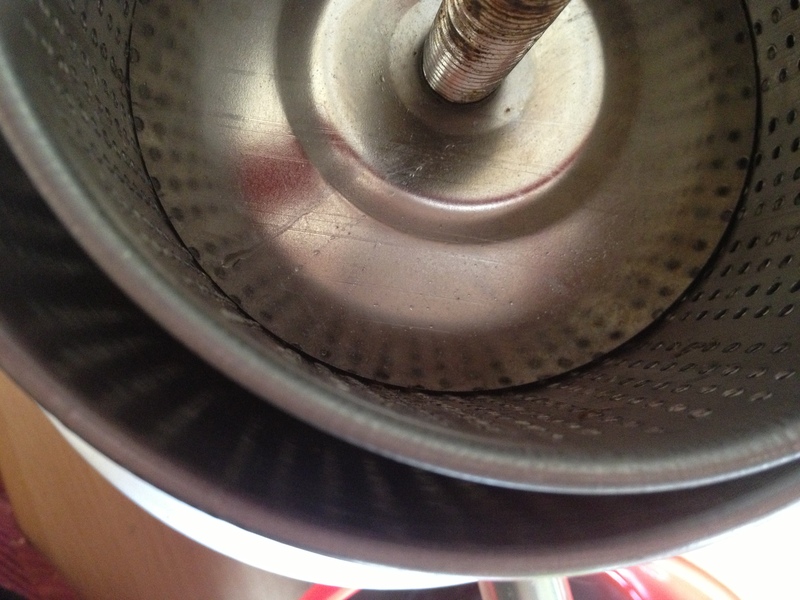 Using a sieve lined with the cloth with a bowel underneath you can pour the herb and tincture liquid into the sieve. Once the liquid has drained into the bowel you can gather up the four corners and use your own body strength to extract as much of the liquid as possible. If the herb is pleasant to taste and you can happily drink it in a tea just boil the kettle, place the used herb back into the jar you used to make your tincture with. Once the kettle has boiled and cooled slightly pour water over the herb to the top of the jar. Close the lid and leave for several hours (up to 24). You then have a type of tincture tea. 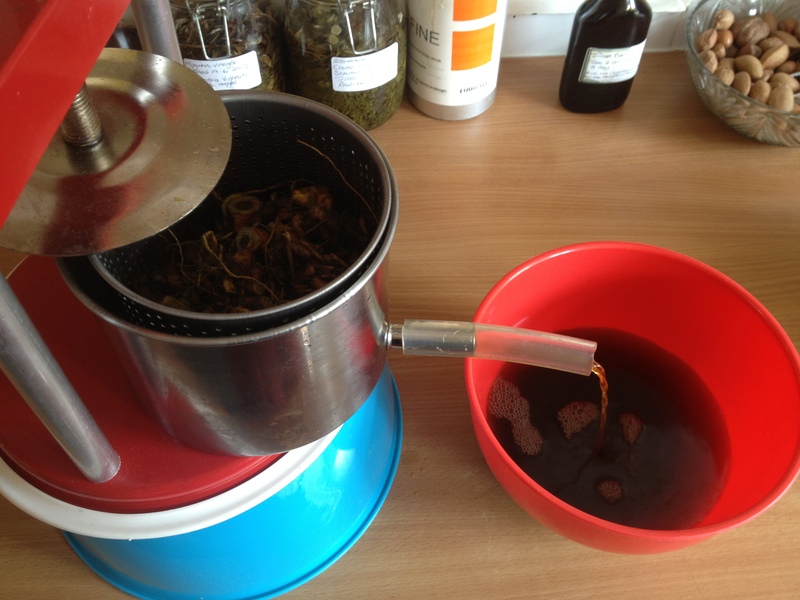 The alcohol in the infusion will preserve the liquid so you can then strain it, compost the herb and drink the tincture tea as and when it benefits you. 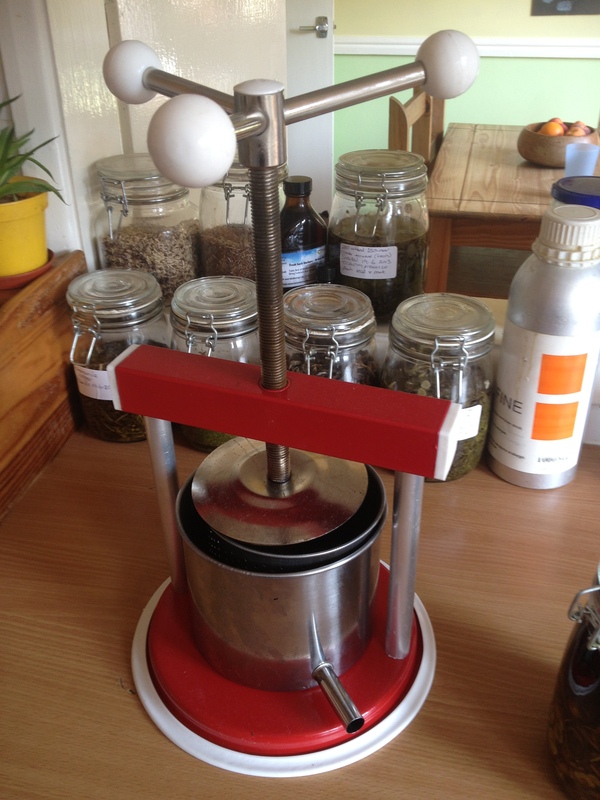 If you do have a press, set it up ready to strain out the tincture from the herb. I like to edge out the inner section so that it is still stable but also so that I can pour the herb and liquid (menstrum and marc) into it ready to be pressed. You will notice that liquid will start to pour into the bowel without pressing the herb initially. You will notice that most of the liquid has drained leaving the herb. 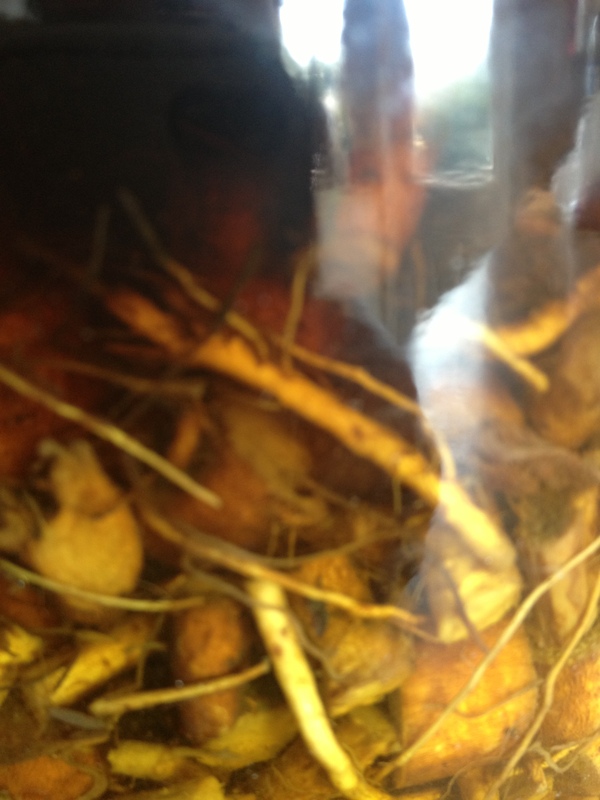 Here is yellow dock root Rumex crispus which I have macerated for several weeks. Now the key is to place the inner section of the press central to the actual press ring. You can use the handles at the top to screw the press down. It is really easy to turn the handle until you actually come into contact with the herb. You then have to gradually use the same physical strength (depending on the part of the herb) to press the remaining liquid out. As I have a nifty light weight press which is ideal for the amount of tinctures that I need I can lift it and tilt it to ensure that I have all of the liquid tincture extracted. I am left with a bowel full of tincture. Yellow dock tincture strained into a bowel, ready for bottling. As a business, I measure out how much tincture I have made, I follow Good Manufacturing Practice and keep up to date batch records. This is so that the tincture can be traced to the people I prescribe it to, the products I use it in and so forth. 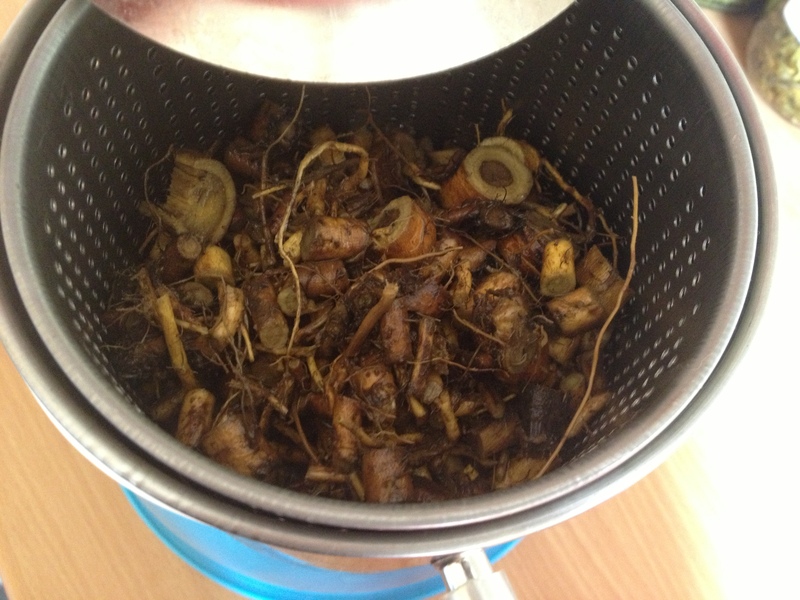 The remaining herb can be used to make a tincture tea and/or composted. Pour into a suitable container – I have ran out of 1 litre amber glass bottles. Therefore I have sterilised this empty bottle of Jim Beam (My tipple of choice) using a funnel to prevent spillages (using ethanol I have destroyed the surface of my kitchen worktops and aim to have steel ones when they are replaced). Always keep tinctures in a dark cupboard (as with all herbs) as the sun has a damaging effect on them which can destroy a lot of the active constituents. Tinctures can be taken regularly to resolve health issues, taken repeatedly to support an acute health issues such as a cold, made into creams, added to cooking, used as a basis of aromatherapy oils such as sprays. There are numerous application and properties which can be explored. The yellow dock tincture that I have made helps to stimulate the liver, supporting digestion and helping to resolve chronic skin conditions. 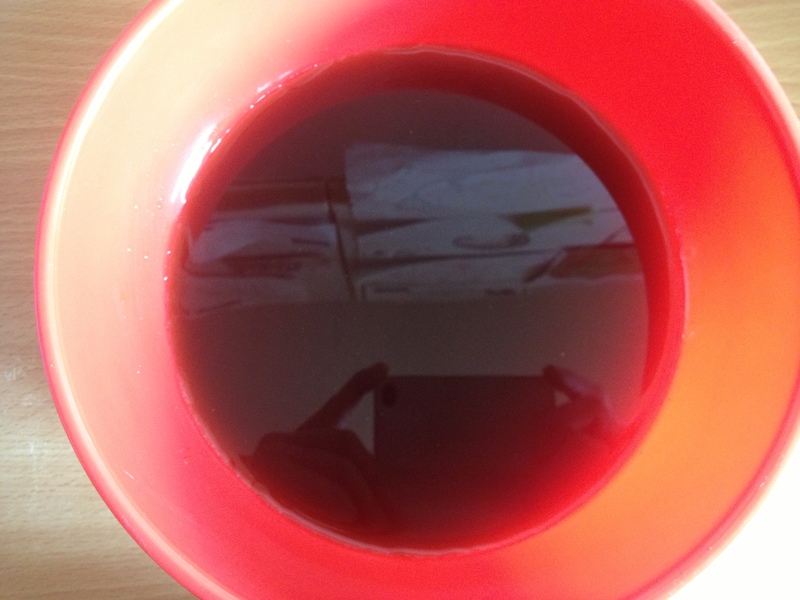 It is intensely bitter but to me it has a sweet undertone – this is because it is a herb which I am also taking myself so my body has been craving it for the 3 weeks it has been macerating. Hope you have found this informative – happy tincturing. This entry was posted in Complementary and Alternative Medicine, Do your bit, Dock, Grimsby, health, Health and Wellbeing, Herbal Medicine, herbal remedies, Herbalism, herbs, home remedies, how to, Tincture by Herbs for Health and Wellbeing. Bookmark the permalink. That was really fascinating to read. A lot of hard study goes into being a herbalist, I had no idea! Thanks for sharing. Cheers for the feedback – Pharmacy was interesting to learn and required knowledge of biochemistry and phytochemistry. It’s all so very interesting and fun though – I am passionate about herbs and herbal medicine. Have a great weekend. Brilliant! Very useful info. Thanks! Hi, thank you for the great info’. I am trying to make a Schizandra berry tincture. They have been sun dried but of course are still juicy, oily. I wanted to make a 1:1 but the berries quickly soaked up so much alcohol that I ended up using 1 kilo: 2 Litres of alcohol. I guess this is now a 1:2 ! My problem though is that I have to push the berries down with a spoon to get them just covered with alcohol. I have completely trawled the net but can’t find anything on tincturing berries. Could you please, please help me out !? How would one successfully make a 1:1 with Schizandra or Goji ? Do the berries have to be completed covered? Should I have just left them when they had soaked up the alcohol? Hi Steve. Berries and other herbs which have been dried do tend to soak up the fluid that we use. I therefore invest in a press to extract as much out as possible. Also making a tincture tea using the left over herbs can mean that you access the health benefits personally instead of it just being wasted and put in the composter. You are right about the ratio. Look at the container that you are using to tincture in – a different shape can ensure that the same amount of liquid emerses the herbs/berries. With goji and schizandra I utilised the pressed but still alcohol soaked berries in my cooking – the last goji berry tincture I made I used the berries to make a smoothie and added them to a trifle (but I bet they would be nice covered in chocolate too. I hope this helps and will happily clarify further if required. Thanks so much for taking the time to reply, I really appreciate it! What started off as an idea to utilize some Reishi that I had has within a few weeks turned into a passion..and an absolute minefield! I realise that I have now opened the door to a lifelong learning process. I read in a ‘Mountain Rose herbs’ article that berries should be extracted in a 50% alcohol. I suppose my 41% will have to do for just now and for the Sea Buckthorn that I prepared today. Yeah I did have visions of a raw, schizandra, goji left over cheese cake affair!